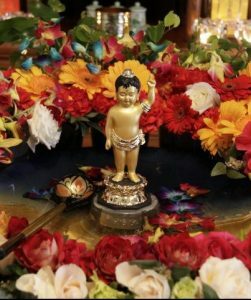 Tuesday Night Group Meditation will be cancel on Dec-20-2016 and Dec-27-2016 while Meli is out of town. 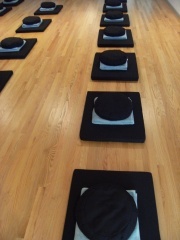 Take a break from the challenges of a busy work week and re-energize your mind on the cushion with other practitioners. Doors open at 6:00 pm. for extra sitting time, walking meditation, prostration practice or instruction if new. 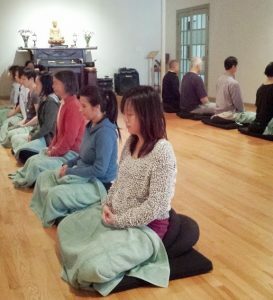 Eight-movement Chan begins at 6:40 pm, finished up with a last sitting and Dharma sharing. All levels of practitioners are welcome. Shoes are not allowed within the meditation center. For your comfort, we recommend wearing clean socks and loose clothing in layers for meditation. This entry was posted in English Activities, Regular Activities. Bookmark the permalink.